Last night's reptile law legal summit in Tinley Park, Illinois, brought together a group of approximately 400 reptile owners, businesses, clubs and organizations to discuss the legal issues facing the herpetology community. Leading off the summit was an outline and discussion of the recently launched Burmese Python Initiative, a rescue program initiated by Bill Brandt and Ben Siegel. 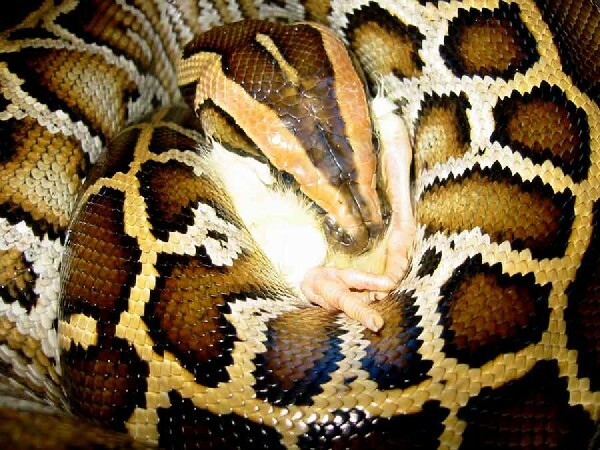 With the pending listing of the Burmese Python as "injurious" by the US Fish & Wildlife Service, the BPI hopes to provide options and answers to Burmese Python owners across the U.S. This was followed by a proposal by Justin Meitz, of the Reno Herp Society, to start a National Herpetelogical Society to act as an top level organization connecting local herpetological societies into a connected network, in order to share resources and give the herp societies a voice at the national level. This is an organization that has long been needed by the community, and kingsnake.com fully supports the effort to provide a "national backbone" to these local herp clubs and groups. USARK's Andrew Wyatt provided a historical overview of the USARK organization, what it has accomplished, and what it does with the funds it collects, and spoke about upcoming issues that need to be addressed by the community. Mike Canning, President of PIJAC (Pet Industry Joint Advisory Council), presented a similar overview of their organization as well and its role is in the fight to keep pet reptiles legal in the US. Finally, a panel discussion on current and forthcoming legal challenges facing the reptile world was held with the leaders of these organizations, as well as noted members of the community. Questions were taken both from the audience and from submissions made via the Internet. The frustration of many in the room was felt, and at times it seeped into the questions, and answers. After nearly two hours the panel discussion wound down, leaving some members of the audience and panelists with few real answers (and even more questions than they had at the beginning), but many good directions and ideas. While the idea of a Reptile Law Summit is a good one, in reality the time allotted did not allow for anything more than a surface discussion of the matters at hand. It is time for the community to consider holding a pure reptile law symposium and workshop, not buttressed by or conflicting with a Reptile Expo, to give reptile owners, businesses, and organizations more work space and time to coordinate efforts, share experiences and develop tools and strategies to more effectively deal with the issues we will face in the future, both near and far.